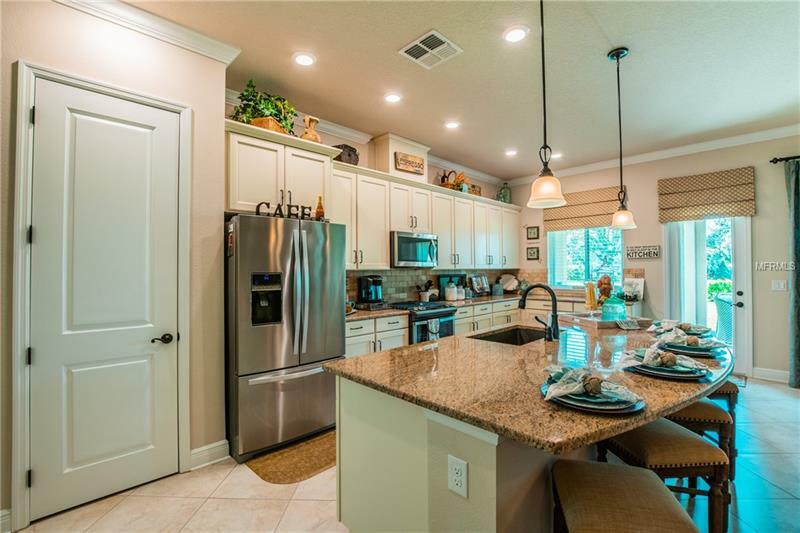 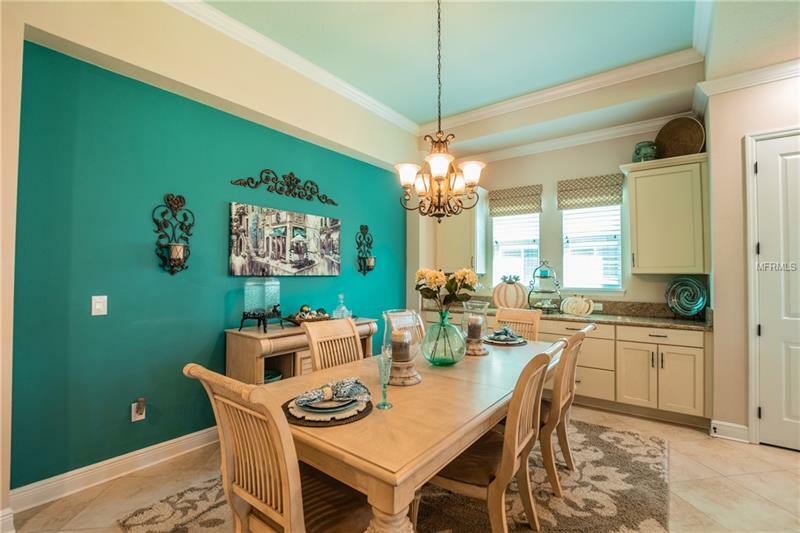 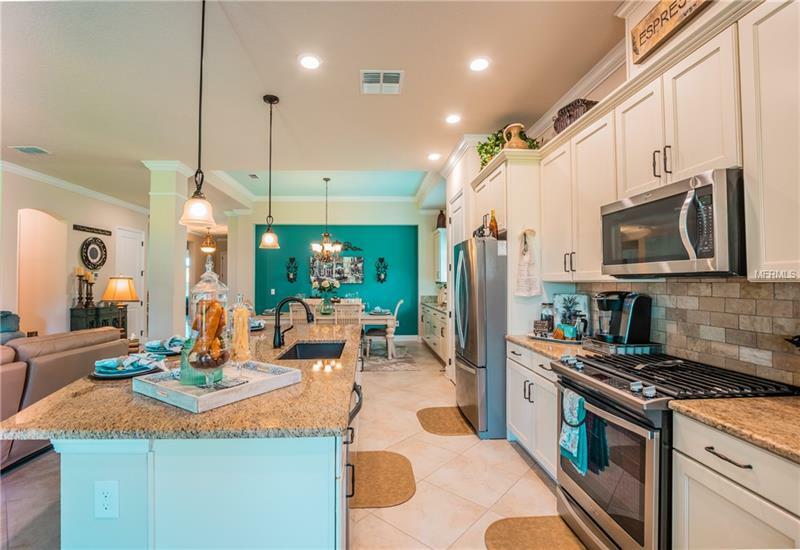 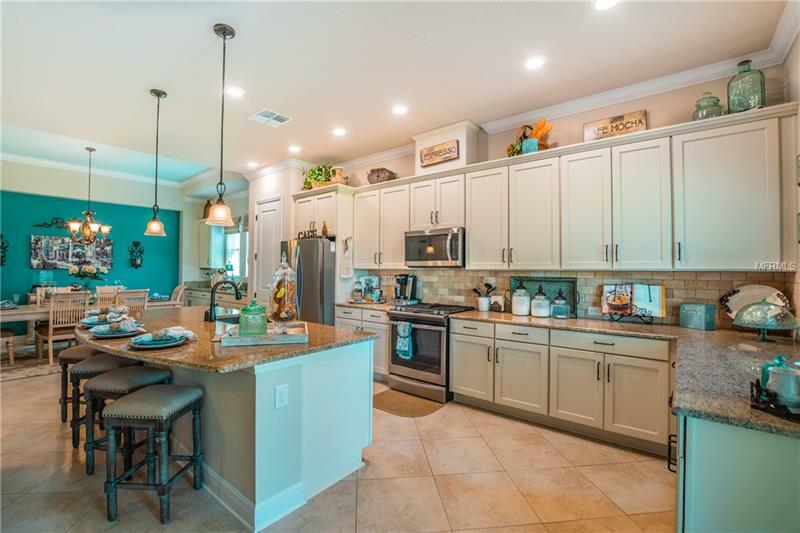 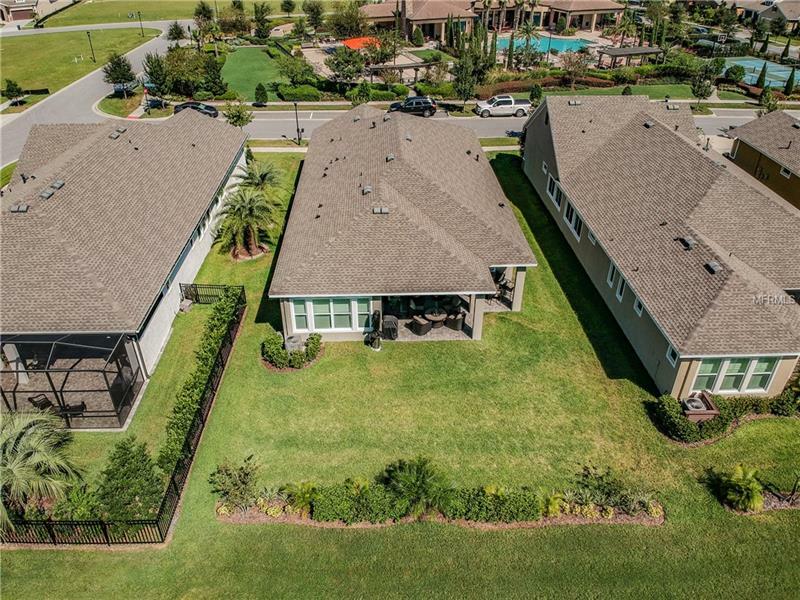 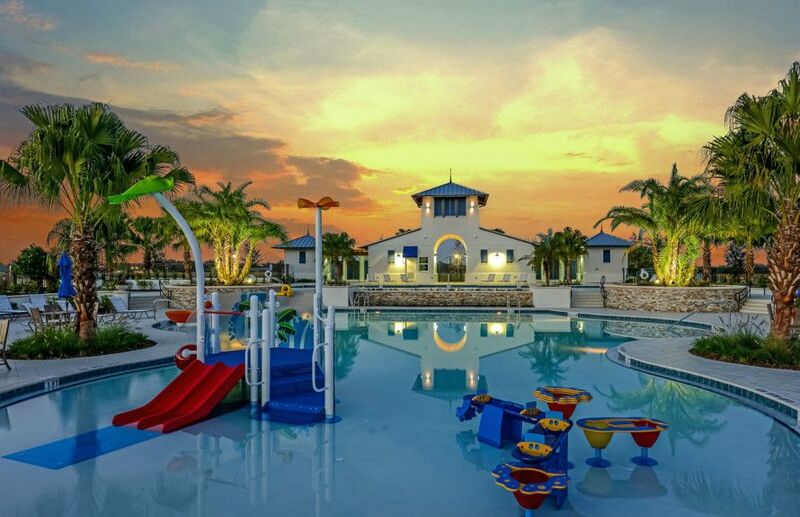 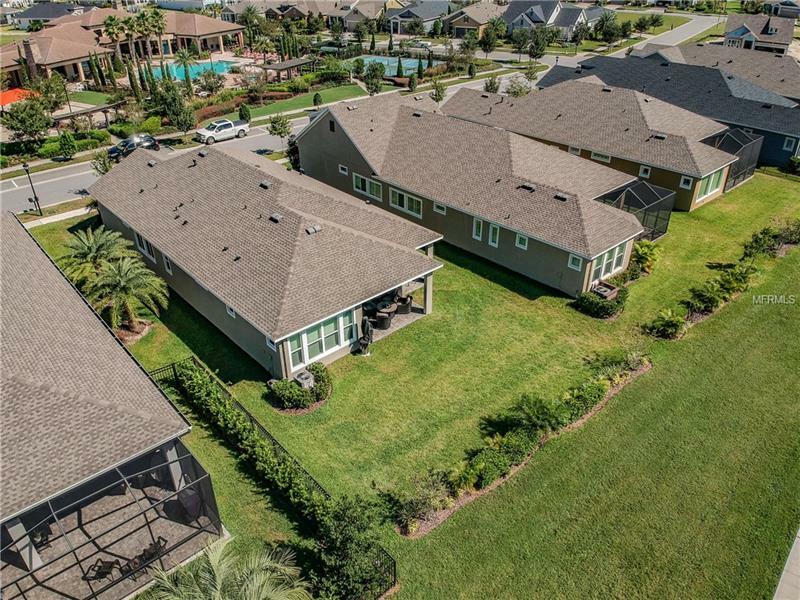 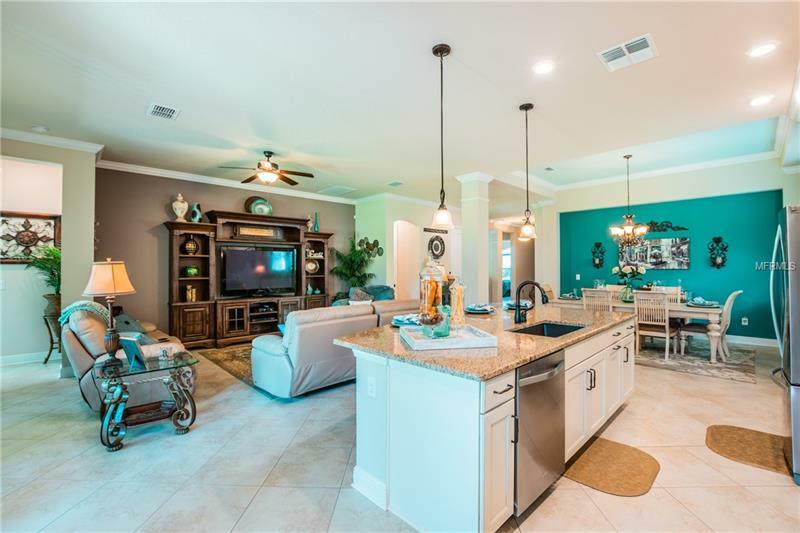 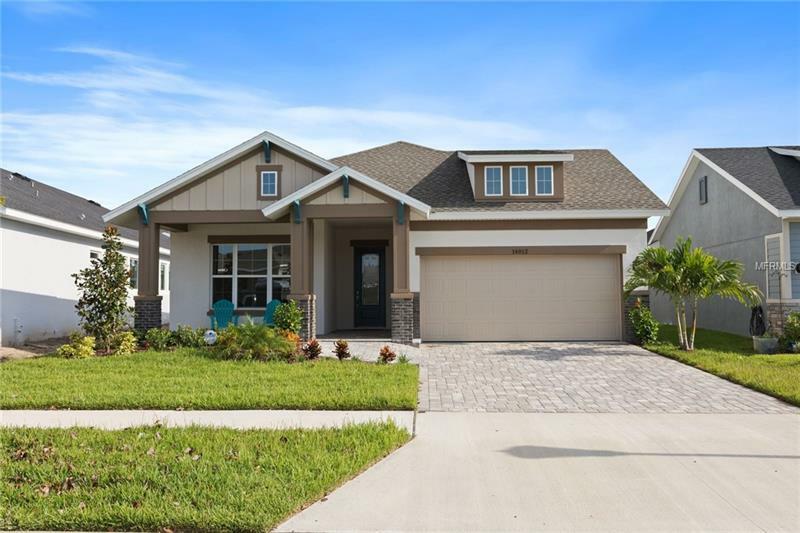 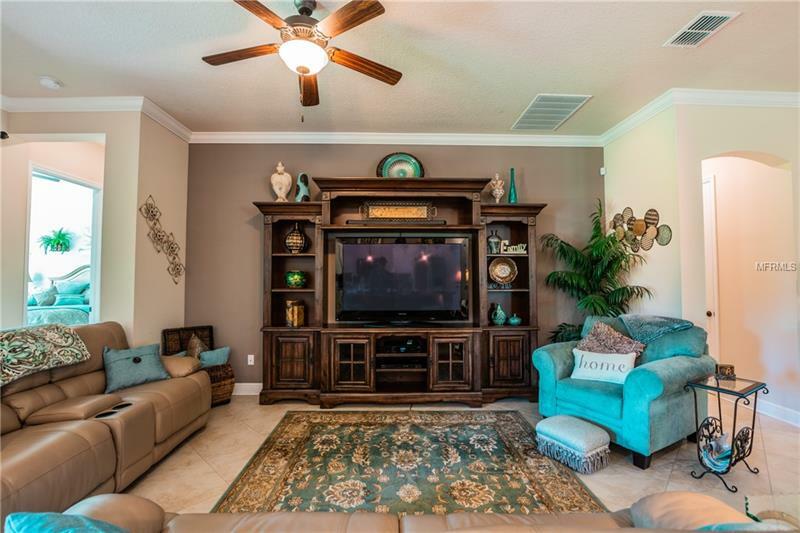 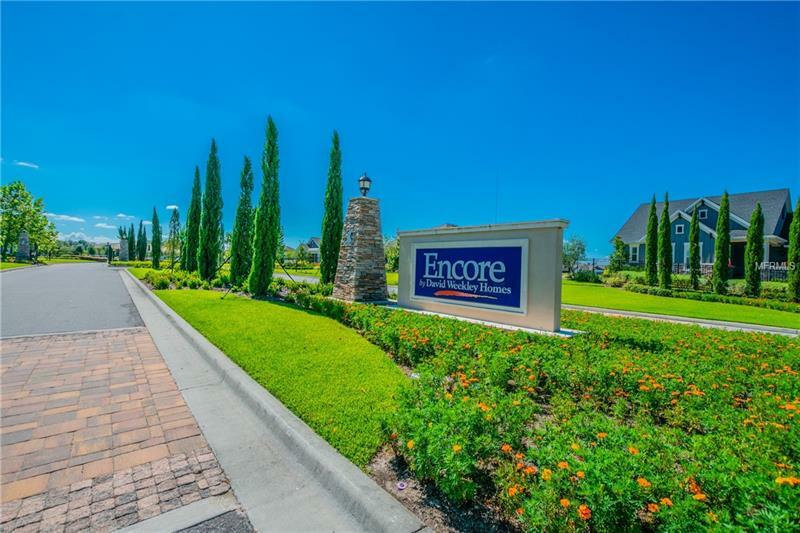 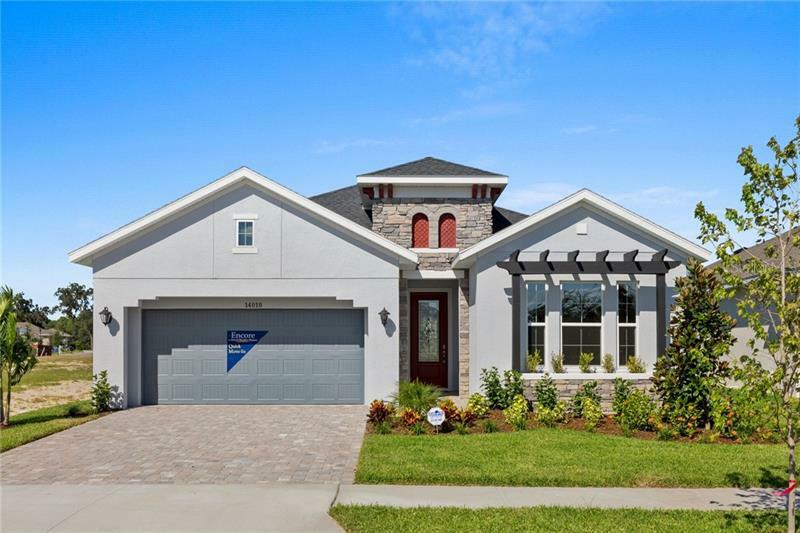 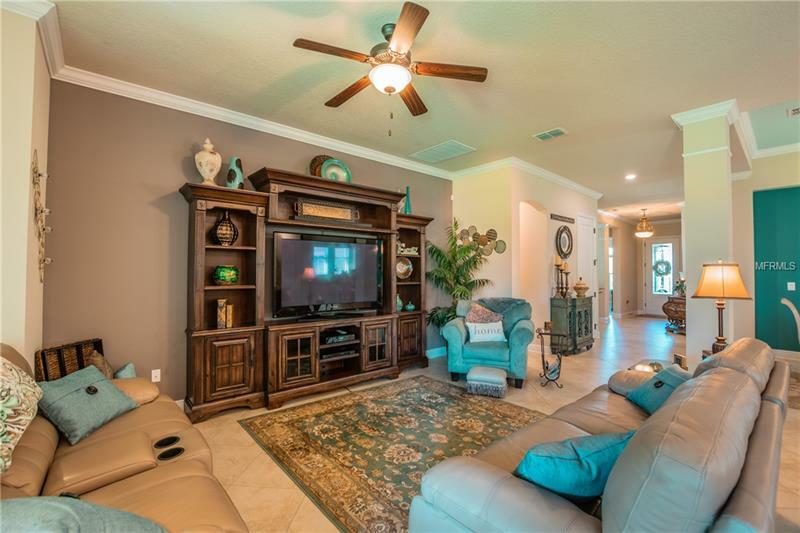 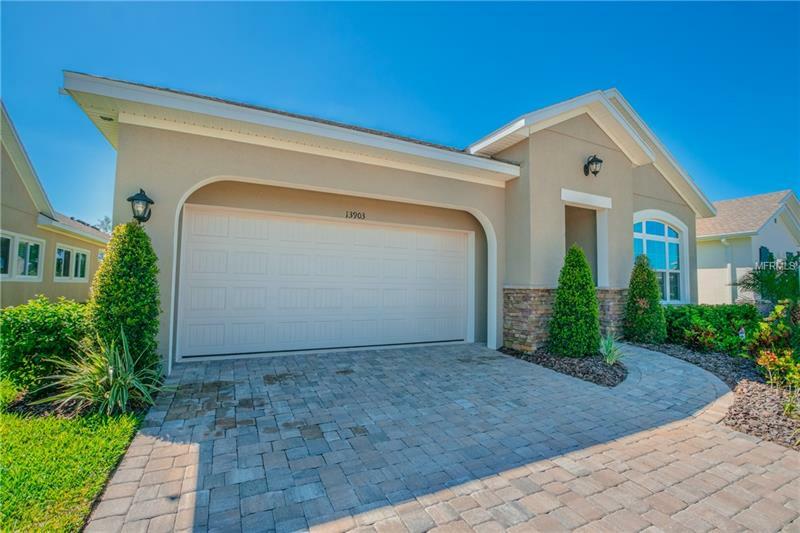 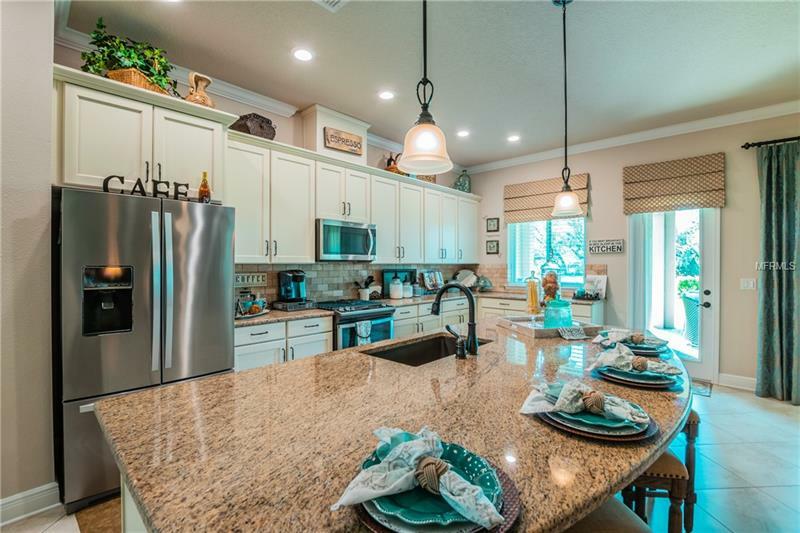 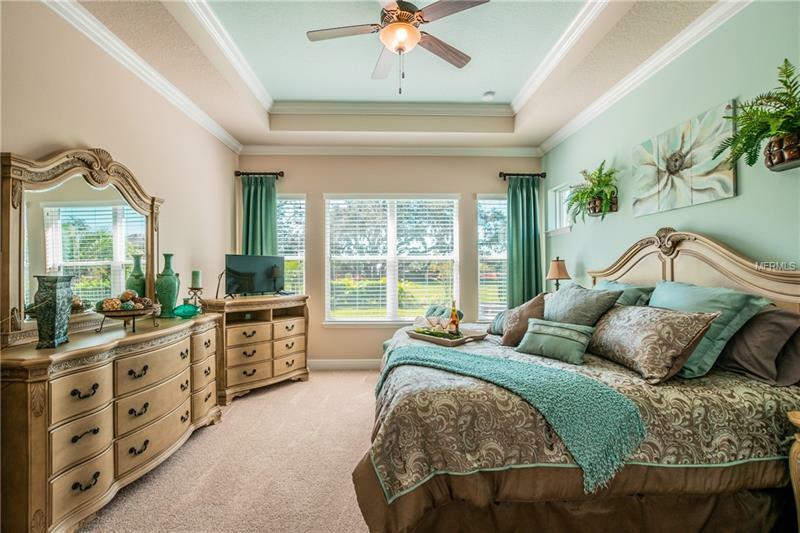 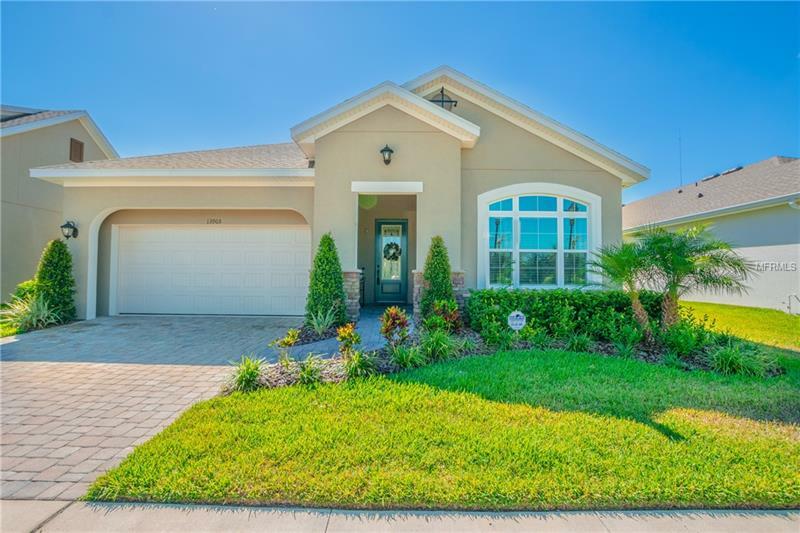 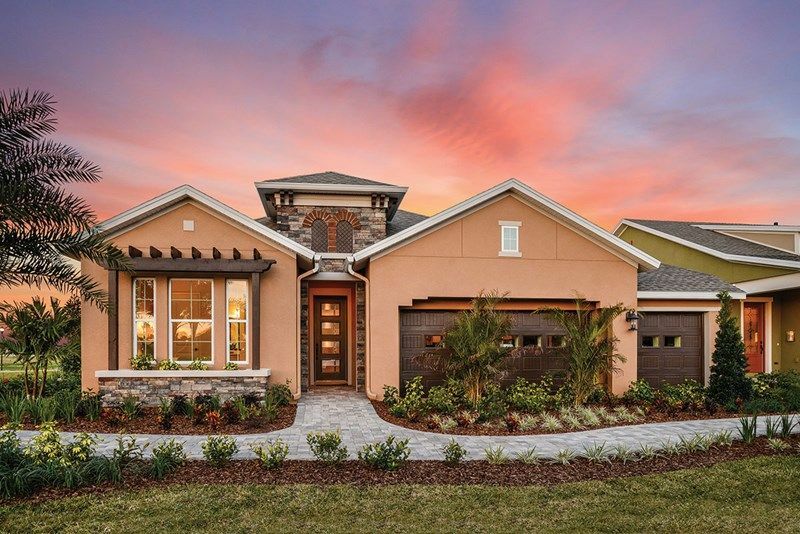 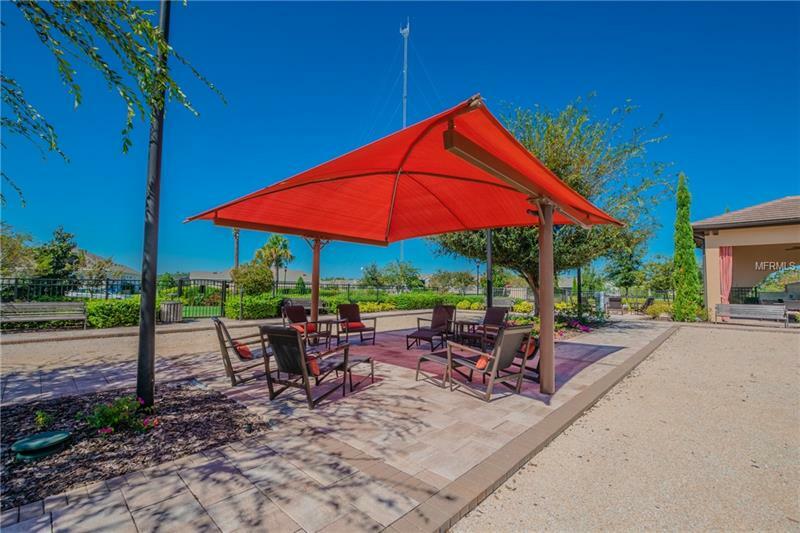 Encore by David Weekley Homes is a 55+ gated community in Fishhawk Ranch. 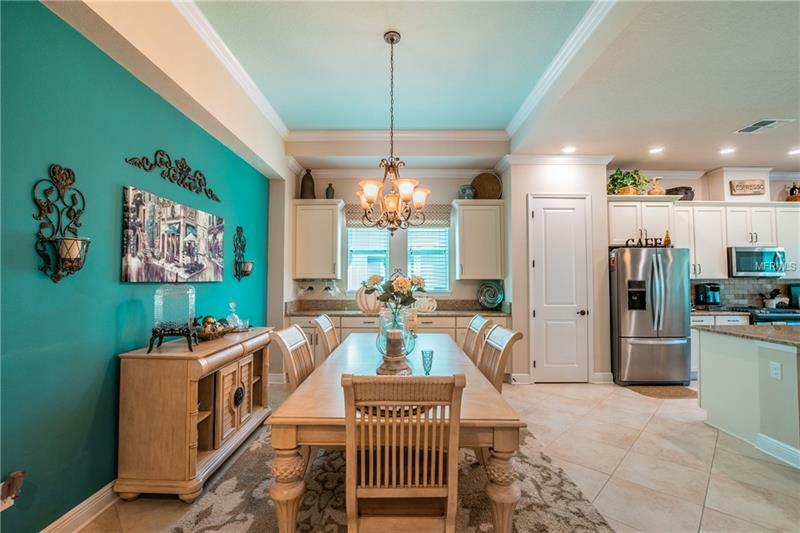 This home is beautiful. 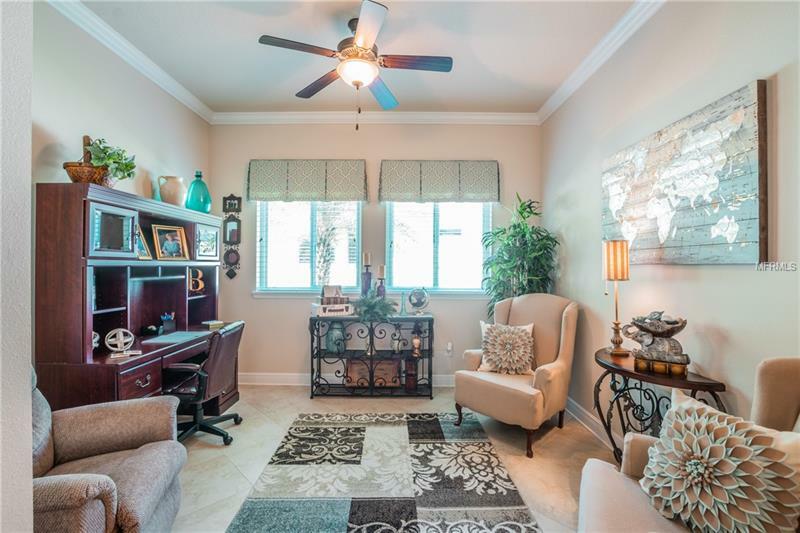 This 2BR/2.5/Bath home has a dedicated office/den space, that could easily be converted to a 3rd BR if needed. 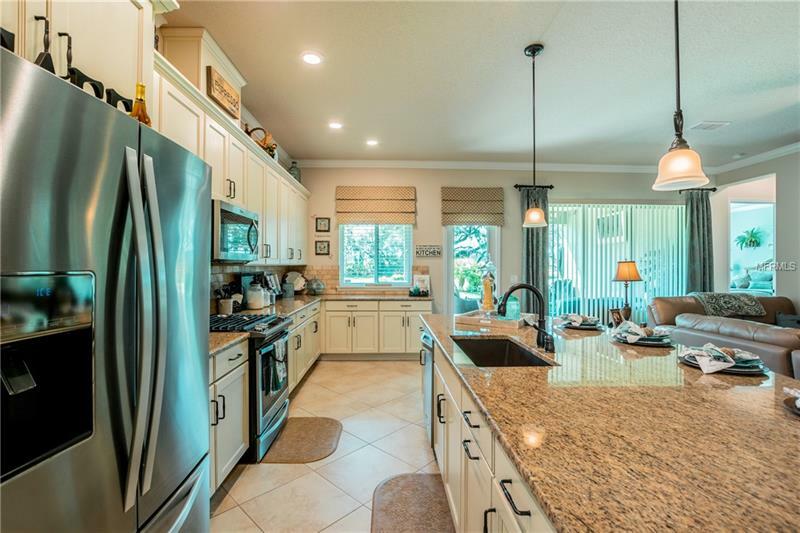 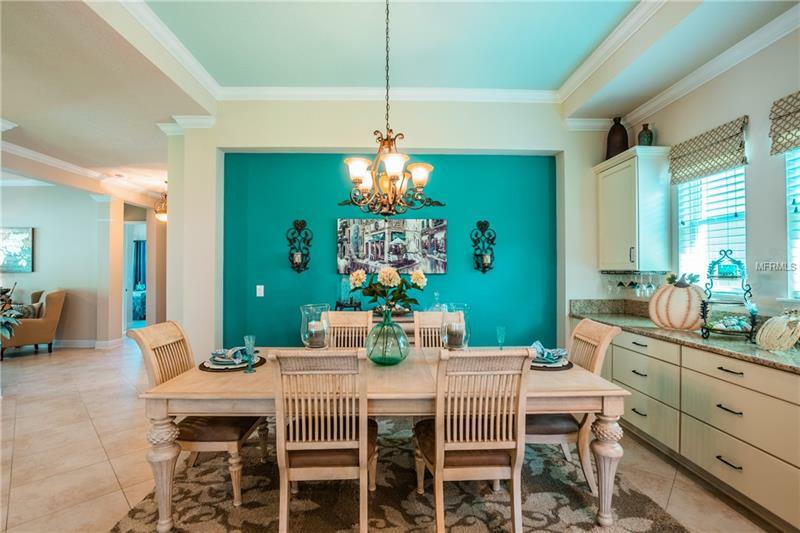 The kitchen has upgraded cabinets and an over-sized island with water and power, great for entertaining. 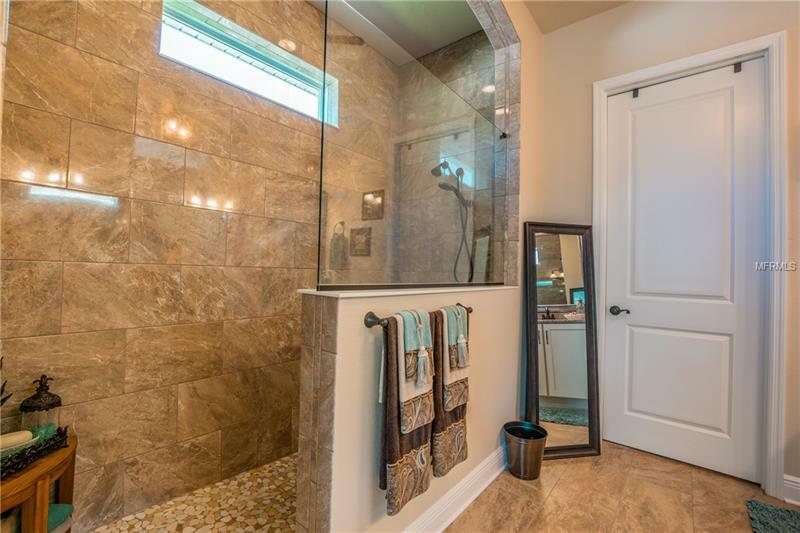 The 20 diagonally laid tile gives you that open floor-plan concept. 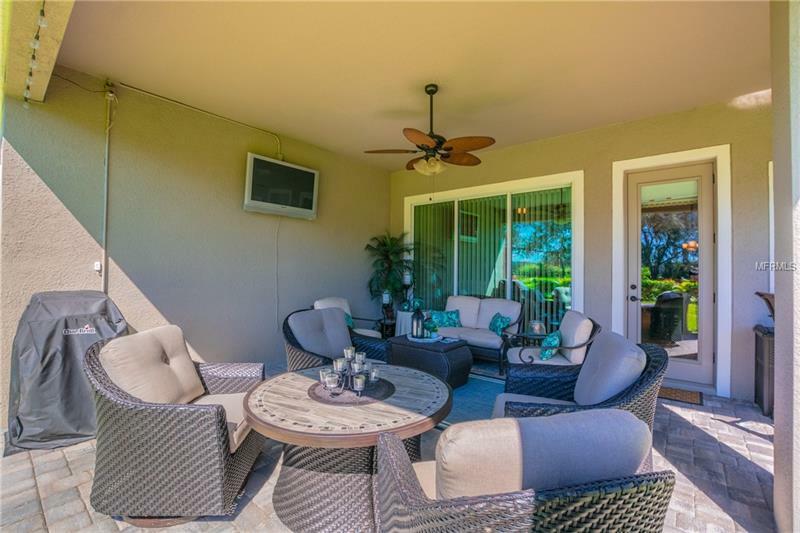 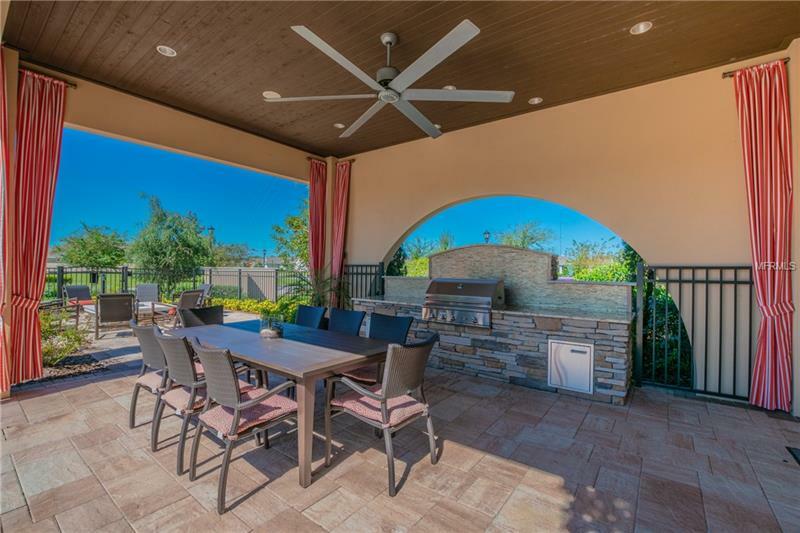 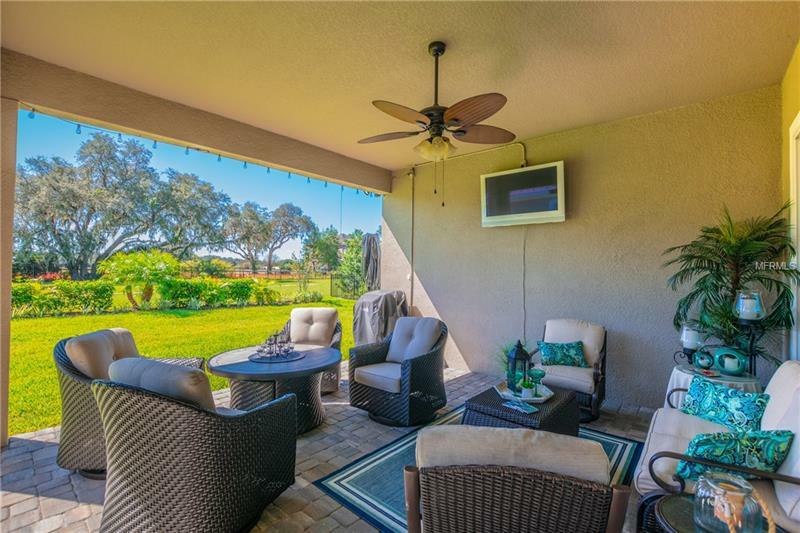 When you step out back, the huge pavered lanai makes a good retreat for those evening getaways. 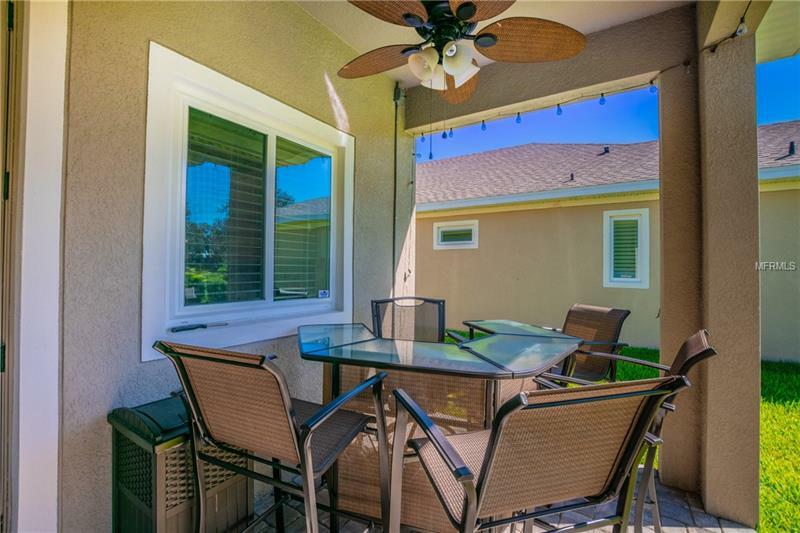 The over-sized backyard with the conservation area is quiet, without a close rear neighbor. 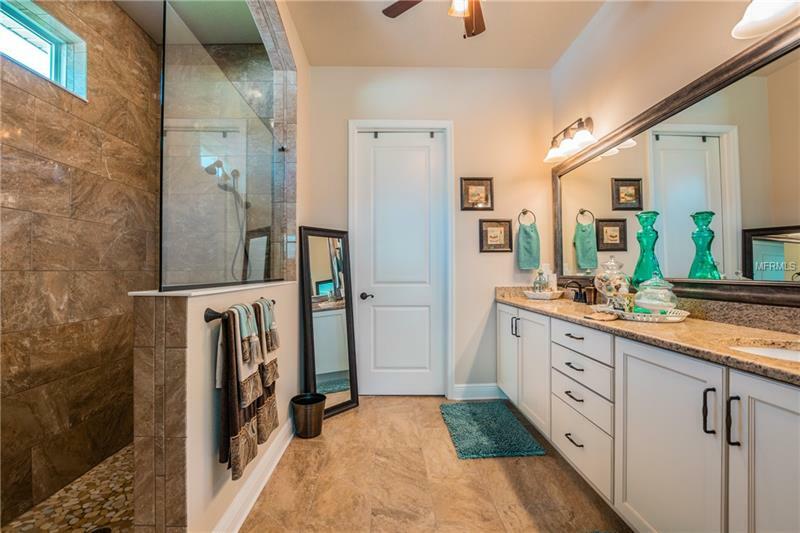 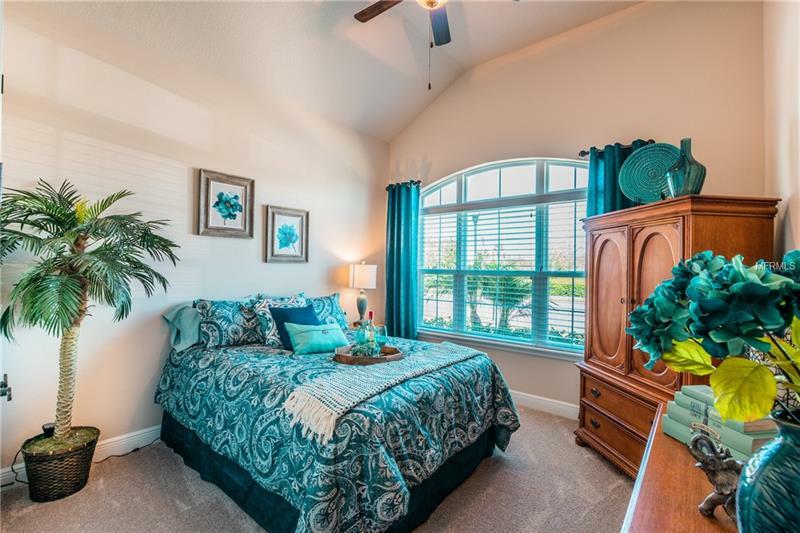 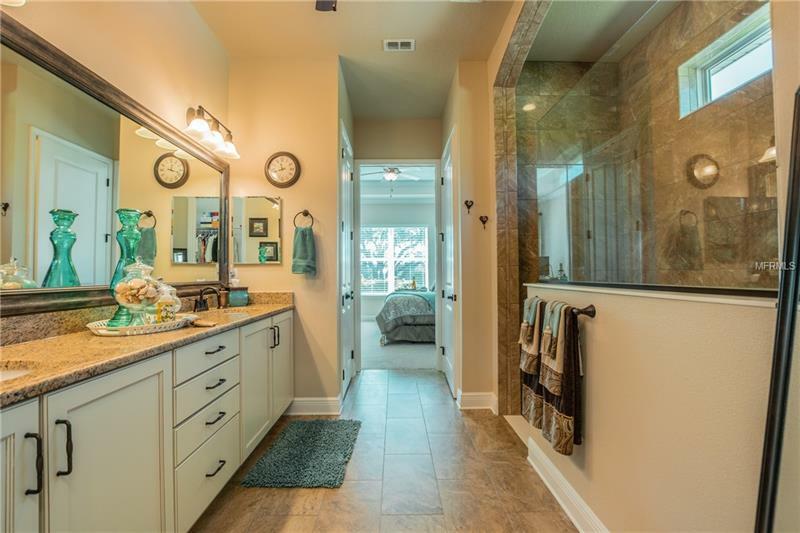 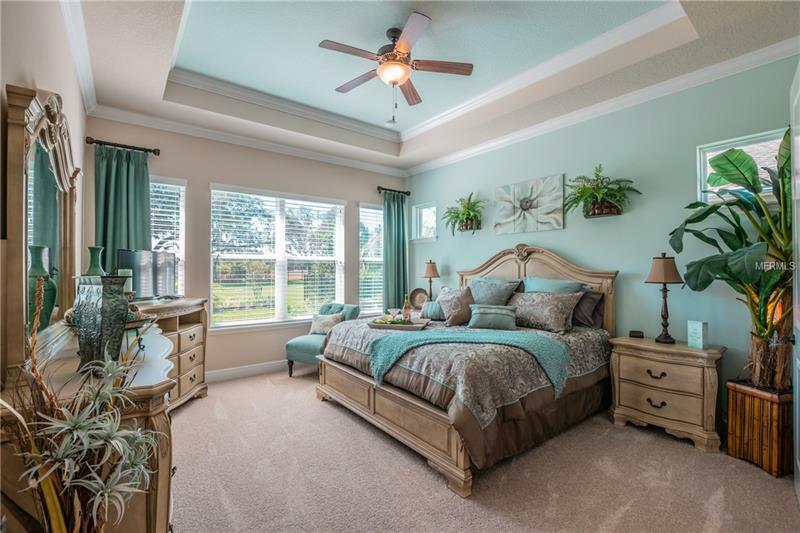 The master bedroom is awesome, and the well complimented master bath is larger than life. 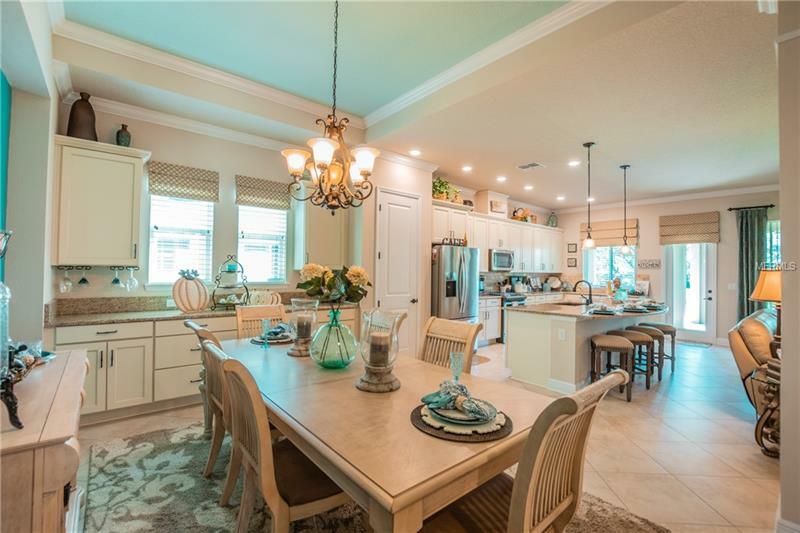 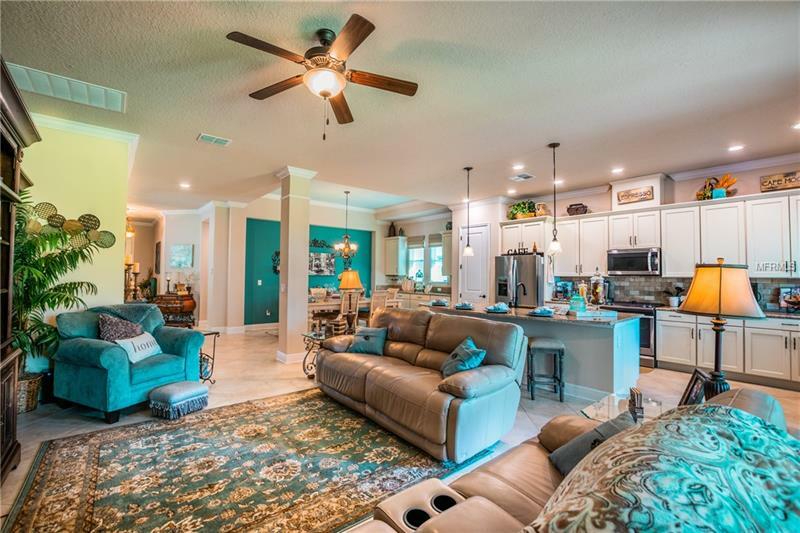 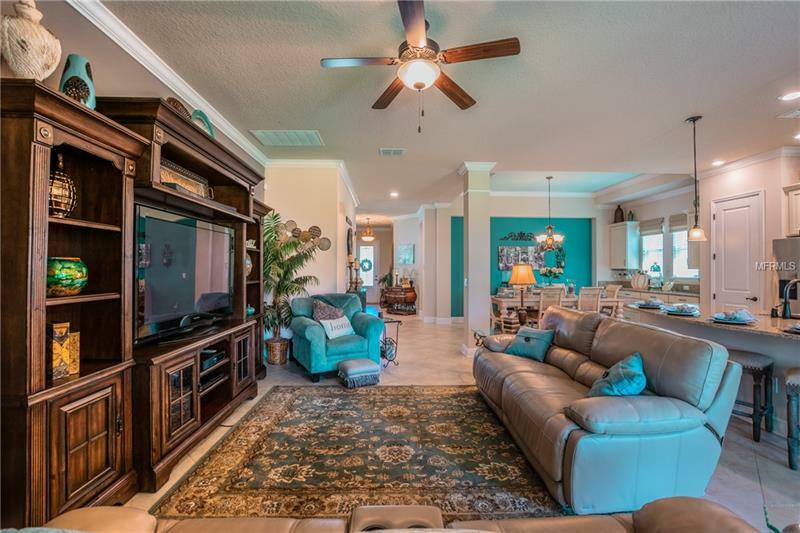 Tray ceilings, crown molding, window treatments, and a built-in buffet in the dining room are just some of the added features in this home. 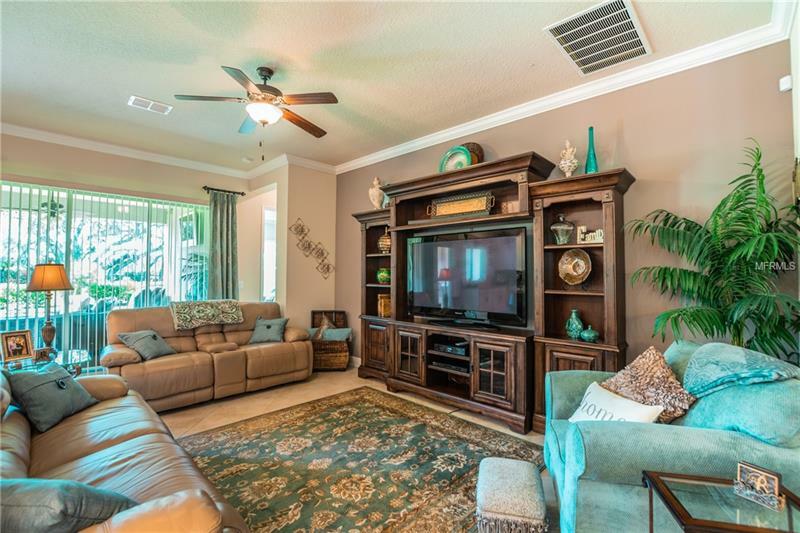 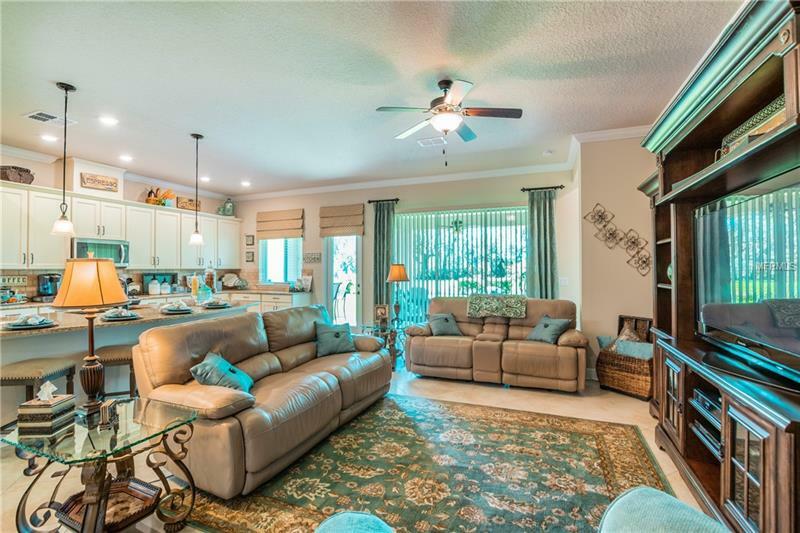 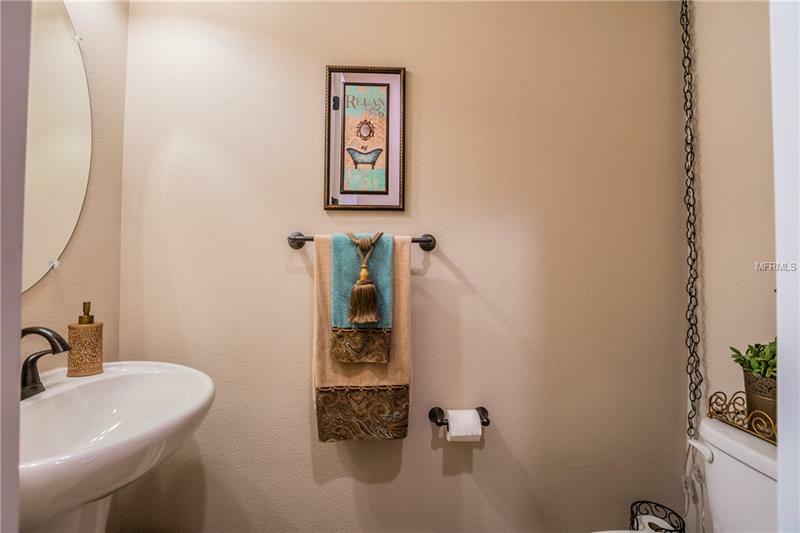 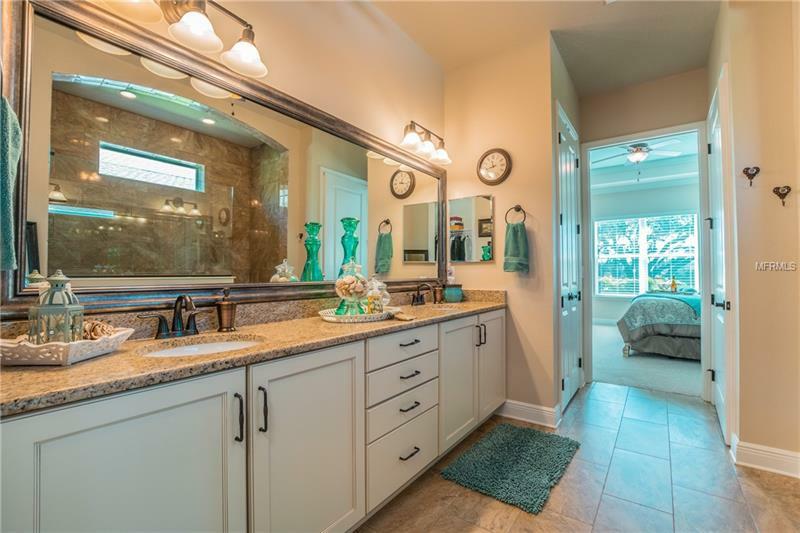 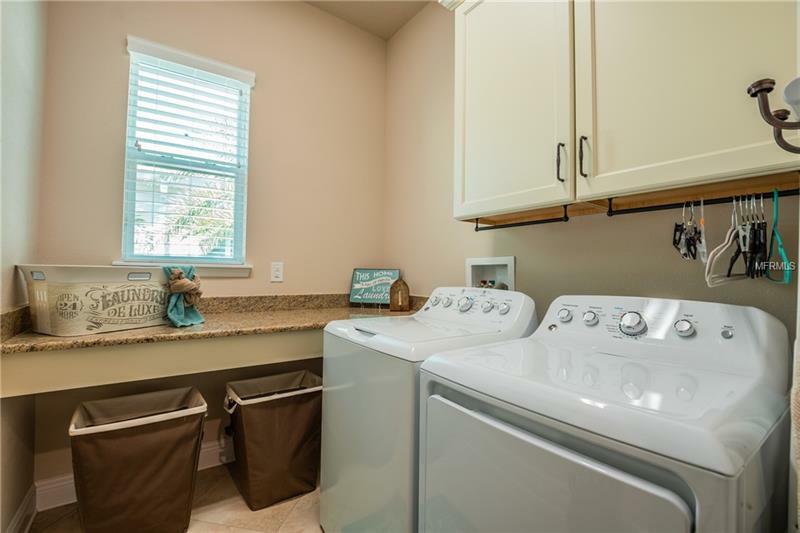 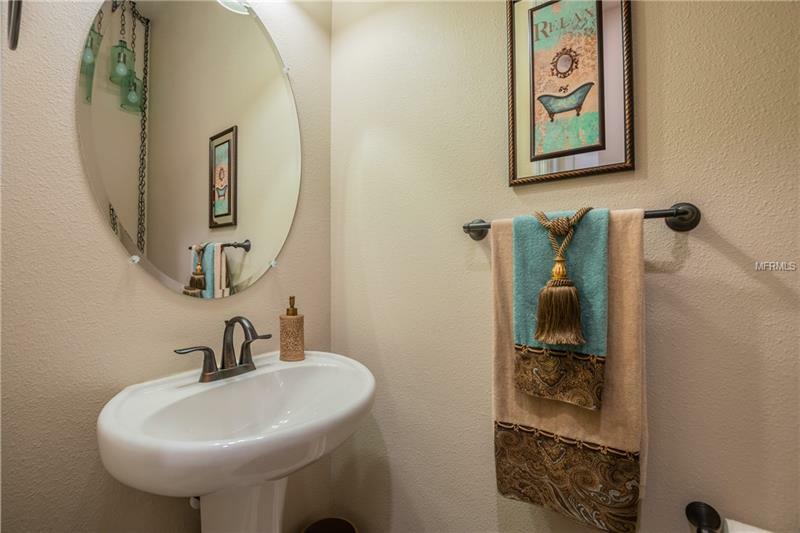 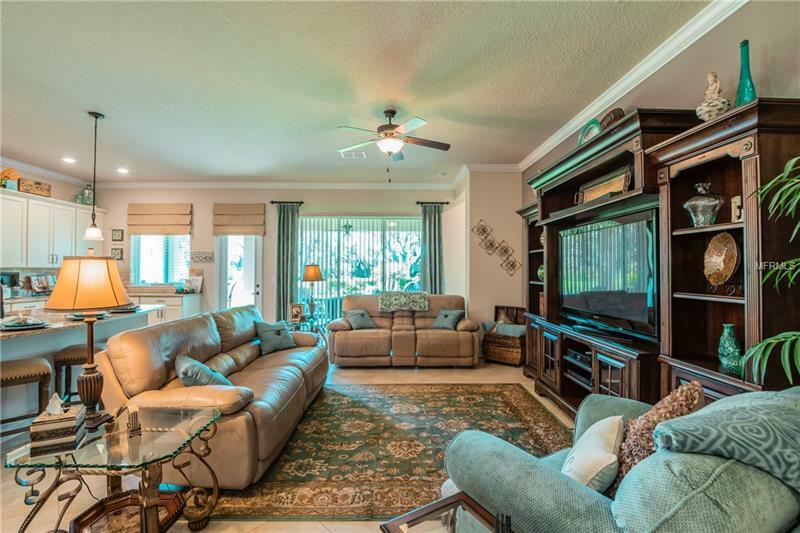 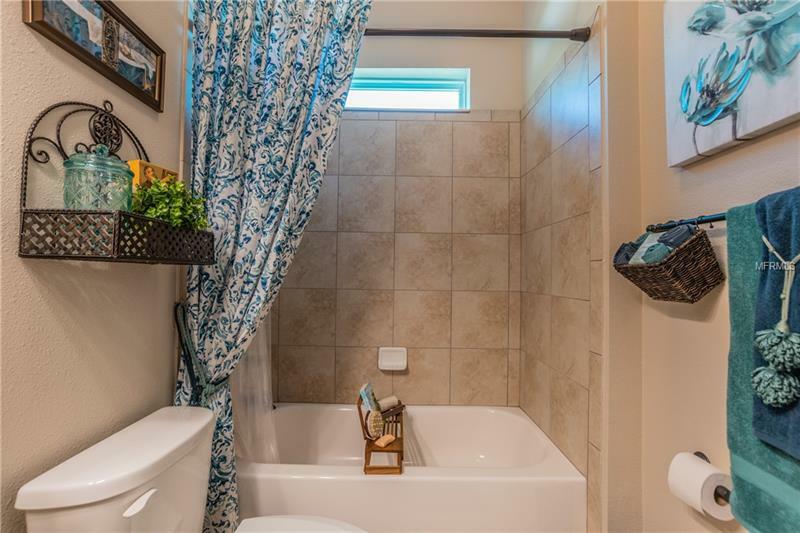 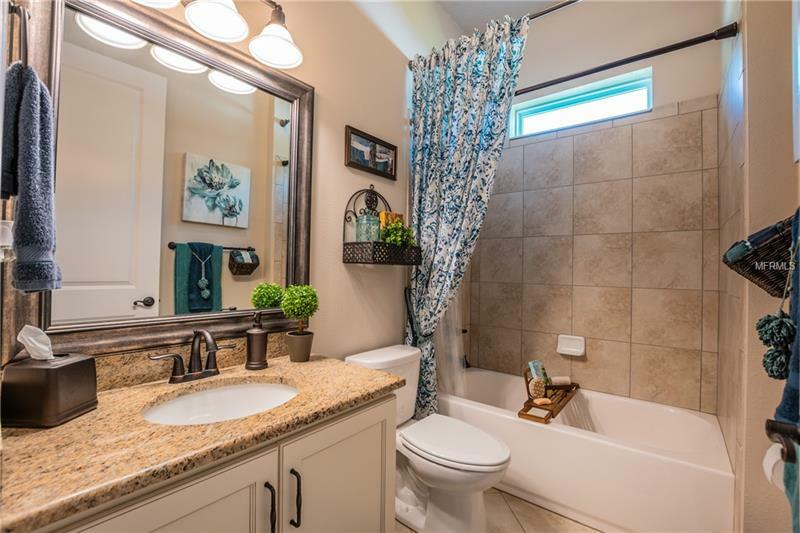 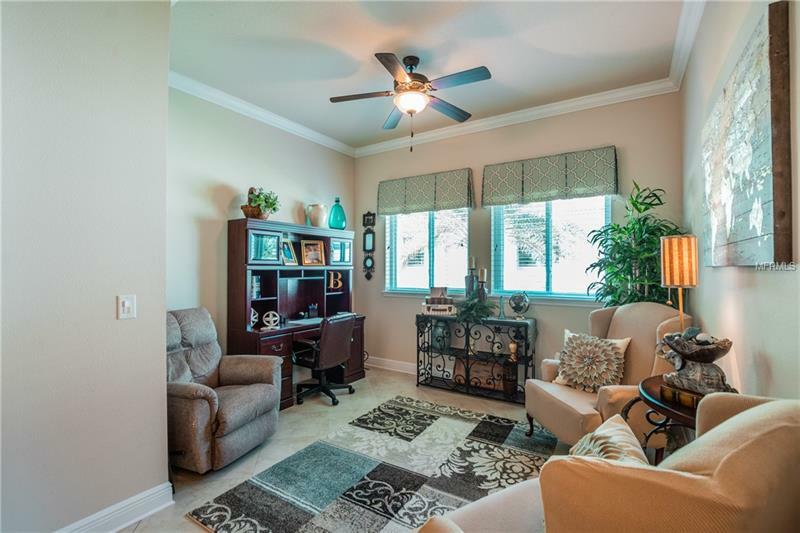 This home is only 1 year old and has been meticulously maintained. 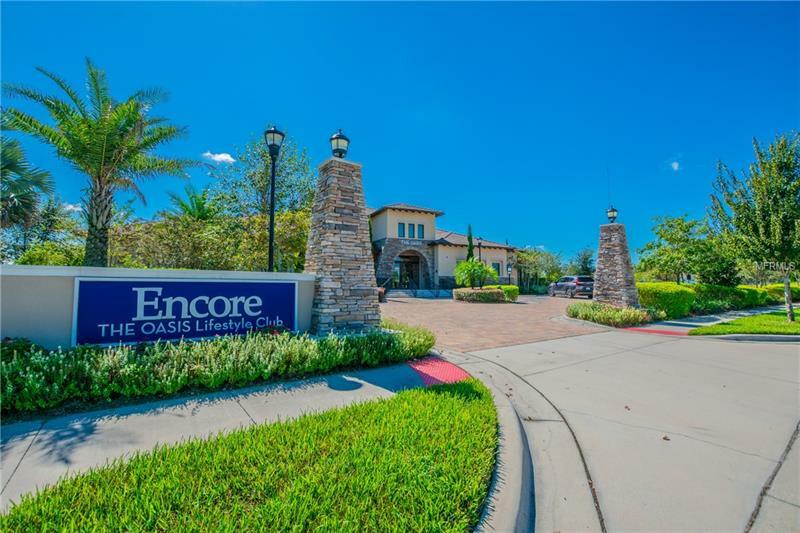 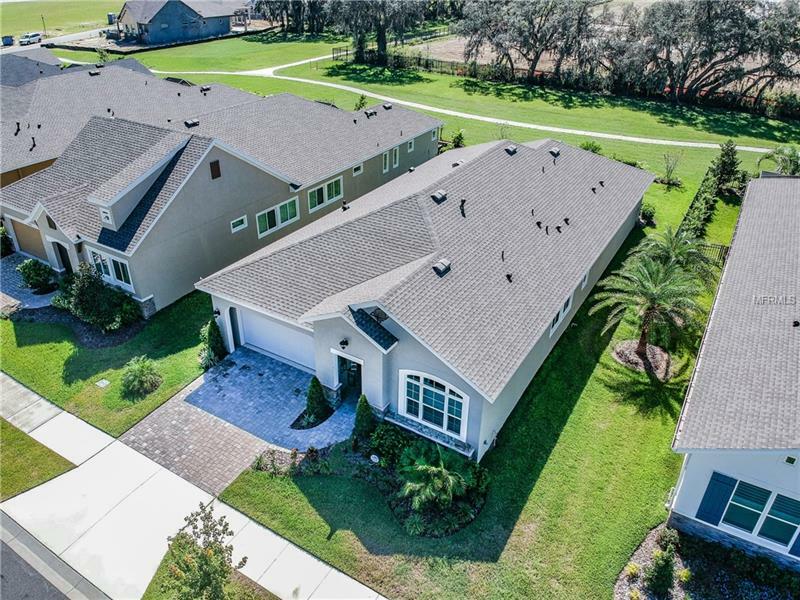 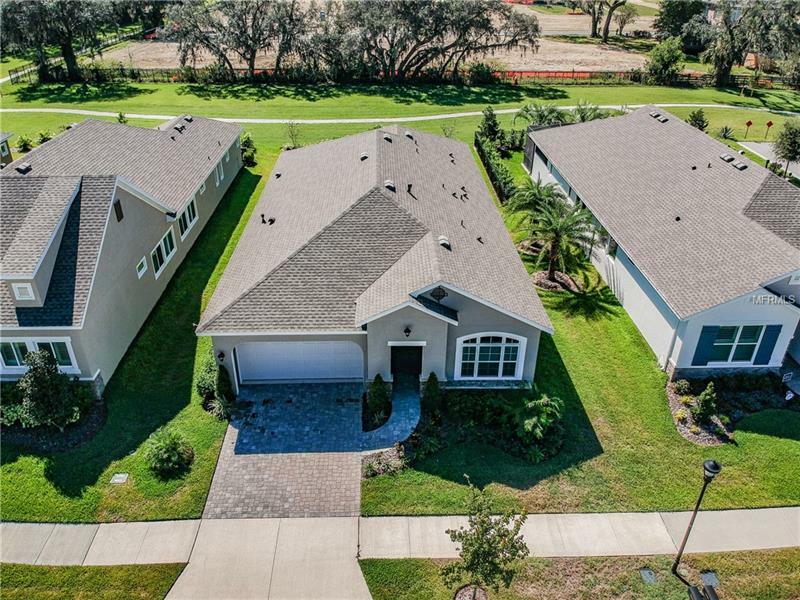 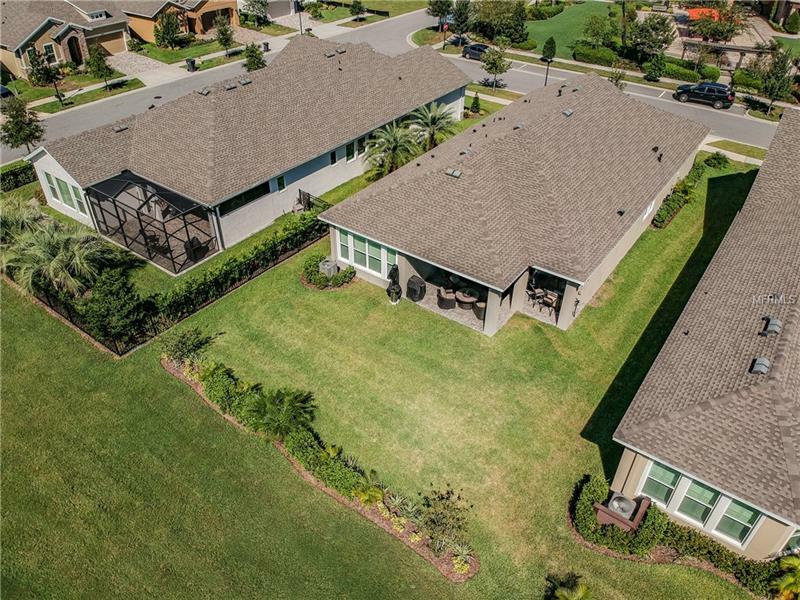 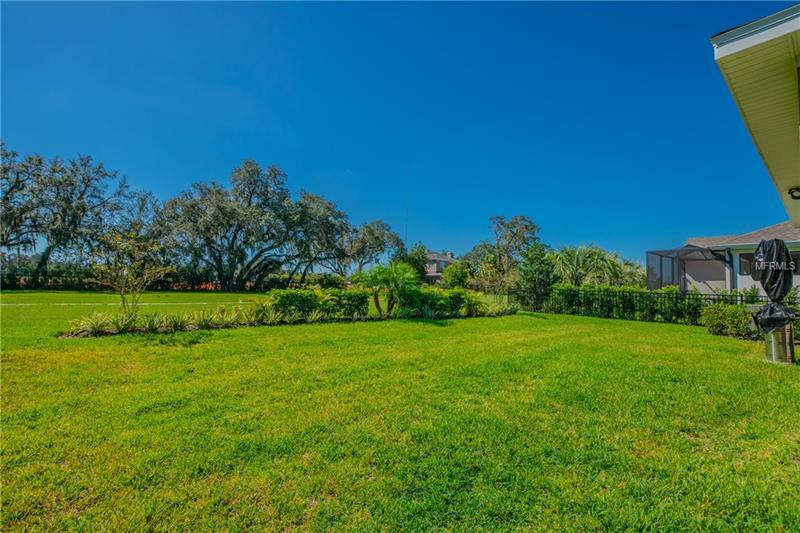 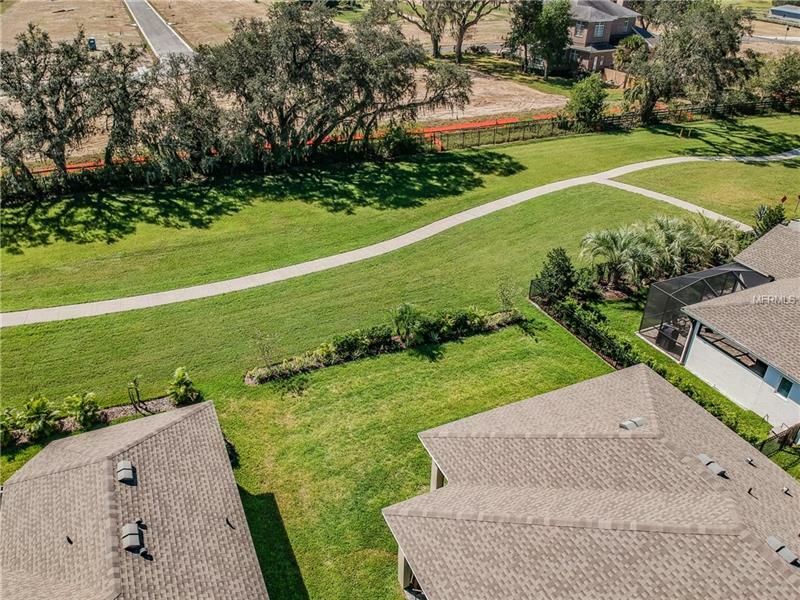 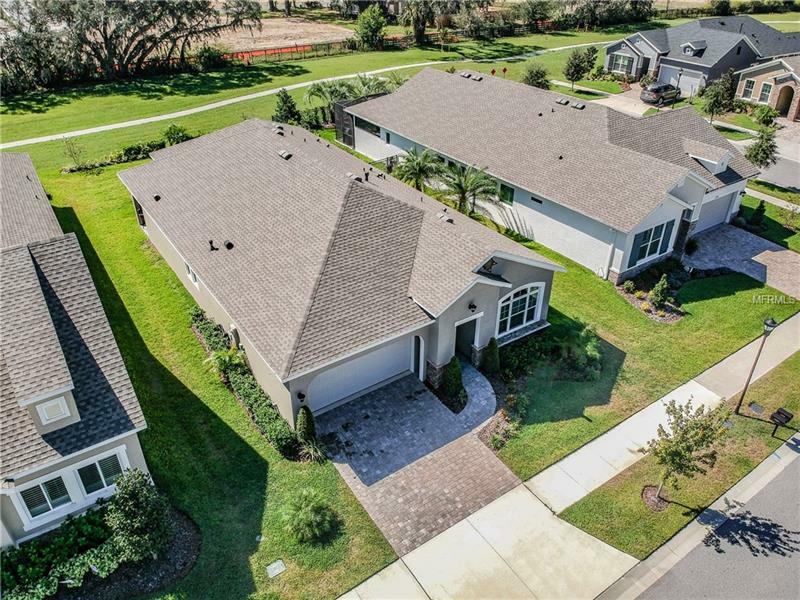 If you want to move in without the wait for construction and capture one of the best lots in Encore, across the street from the community pool, then schedule an appointment now to see this home before it's gone. 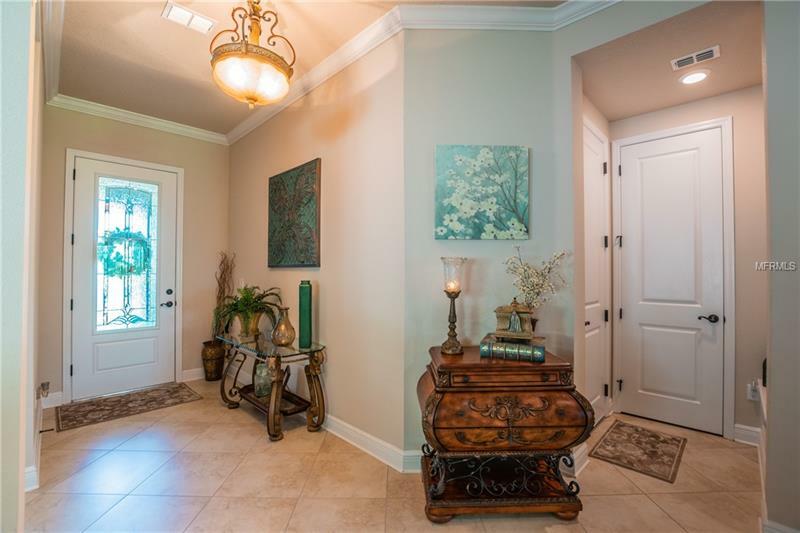 Directions: Take Bell Shoals south past the round about to Encore entrance. 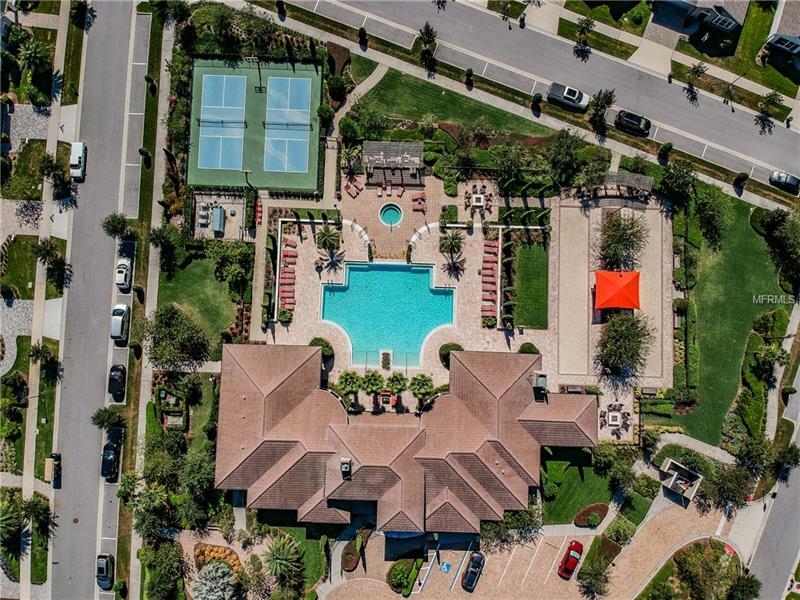 Home is due south of the Community pool.